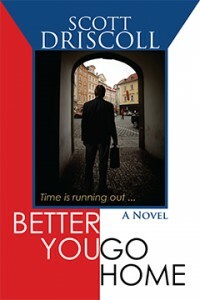 Better You Go Home ($13.95, 236 pp, 6×9 Trade Paperback ISBN: 978-1-60381-170-5), is the first novel by Seattle writer and writing instructor Scott Driscoll. While visiting the Czech Republic in search of his half-sister, a critically ill American man unearths long-buried family secrets. 5 Stars: “Driscoll ably threads an adulterous romance with medical urgency, post-war Czech history, and self-reckoning. This labyrinthine novel is an accomplished work that examines the fallout of the past…. With story lines that converge in a grotesque meeting of rivals—replete with costuming and a conflagration—there’s no shortage of suspense. Beneath the theatrics, subtler, worthy themes of letting go and renewing one’s sense of purpose take hold.” Read more ….. Better You Go Home is a bestseller at Elliott Bay Book Company in Seattle, WA. Three shelves down, four to the right. “I really enjoyed Better You Go Home by Scott Driscoll. It’s one of the better ‘contemporary literary fiction’ stories I’ve read in a while …. Driscoll provides his readers with a tremendous, powerful opening that’s powerful, ironically, because it’s so very quiet. It begins in a simple church, Chico (the protagonist searching for his long lost half sister) is with Milada (who we learn is a doctor who, even though she’s medically trained, still believes in medical mysteries) and they’re discussing the power of ‘Bambino’ (a statue with some sort of miraculous ability to cure the ill)…which is so odd when it’s juxtaposed against the fact that Chico doesn’t seem all that interested in the notion of a ‘faith based’ cure for his (what will eventually be fatal) renal failure due to diabetes. Just as the title spoke to me with that heavy accent – I can hear Milada’s heavily accented voice – even though Driscoll doesn’t intentionally write in ‘how she sounds’. Rather he does it through the way she says things in English – which obviously isn’t her first language. In those First 500 words the reader is drawn into the story of ‘how’ Chico’s sister became ‘long lost’ (especially since he didn’t even know about her until about a year earlier). We can almost hear his impatience with Milada because he really wants to just get on with the job of finding his sister and yet they’re in that church. So odd, so ‘old world’ – So good!” Read more …. “Scott Driscoll’s gripping, gritty novel, Better You Go Home, is a mystery, a race against time and a love story with a strong dose of political thriller thrown in …. Peppered throughout with Czech dialog, this vivid novel portrays the squalor and decay of a ravaged country, a living culture rich in history and an intimate portrait of a family that carries the scars of the Cold War years. 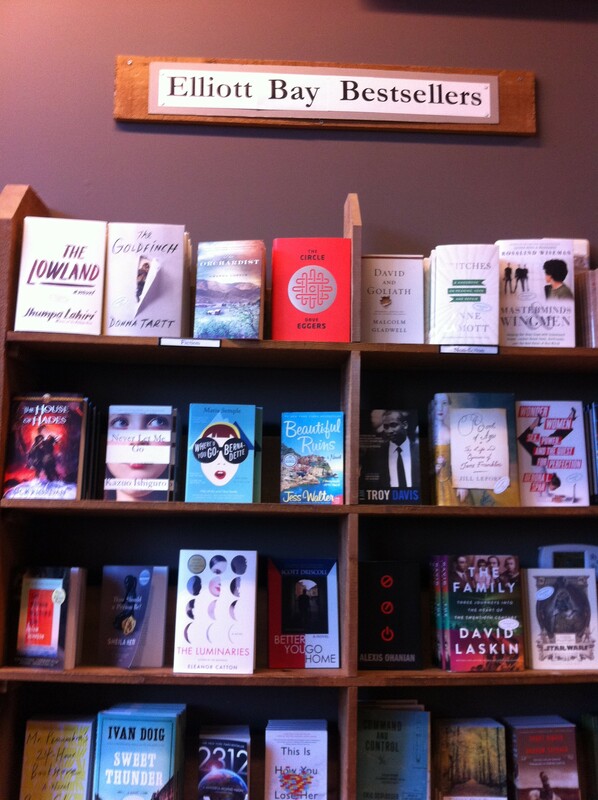 Better You Go Home is hard to put down. A most memorable and satisfying read.” Read more …. —Bharti Kirchner, author of Darjeeling and Tulip Season. Seattle attorney Chico Lenoch wonders why his Czech father refuses to contact family left behind the Iron Curtain. Searching through his father’s attic after the Velvet Revolution, Chico discovers letters dated four decades earlier revealing the existence of a half-sister. He travels to the Czech Republic to find his forgotten sister and unearth the secrets his father has buried all these years. There is self-interest behind Chico’s quest. Most urgently, he is nearing kidney failure and needs a donor organ. None of his relatives are a suitable match. Could his sister be a candidate? Chico also meets Milada, a beautiful doctor who helps him navigate the obstacles to finding his sister. While Chico idealizes his father’s homeland, Milada feels trapped. Is she really attracted to him, or is he a means of escape to the United States? Chico confronts a moral dilemma as well. If he approaches his sister about his need for a kidney, does he become complicit with his father and the Big Shots of that generation who’ve already robbed her of so much? Scott Driscoll, an award-winning instructor (the University of Washington, Educational Outreach award for Excellence in Teaching in the Arts and Humanities 2006), holds an MFA from the University of Washington and has been teaching creative writing for the University of Washington Extension for seventeen years. Click here to find Driscoll on the Web. Milada’s flat is on the eighth floor of a twelve-story high rise in a gray sidlisté of concrete block buildings. The street curb is dammed by defunct Skodas, the no-frills tin-can cars manufactured locally. The security mesh screening the outer door is rusted and dented. This is the depressing Khrushchev-era flat Milada is forced to continue calling home so that her husband could afford that Russian mafia loan. Okay, it’s not lost on me that I’m taking risks, possibly for no better reason than to salvage my own father’s dignity. Or my own. Still, Jiři goes too far. How is his pride any different than that of his father’s? She pushes the buzzer on the intercom panel to alert Jiři to our arrival. Jiři’s family name is listed on the panel. Her name is Kotyza. Her grandfather was related to my grandmother. Most lights behind the buttons on the panel are burnt out. I avoid looking at hers. I don’t want to see if they’ve troubled themselves to replace the bulb behind their buttons anymore than I want to think of Milada stuck here for the forseeable future. We bounce in the elevator up to the eighth floor and walk down a corridor with cracked and missing tiles. A decorative strip of plaster above the tile, painted the color of mustard, has browned with grime. And the smells. Sour cabbage, urine, acrid tobacco. Nose wrinkling neglect has turned this passageway into a tableau of the torture I imagine it must have been to raise her family here. No wonder she obsessed over the Skagit, the baldies, the turbulent water. The stinking salmon carcasses on the flood banks must have been ambrosia to her eastern bloc nose. Prague is earning a reputation as the world’s black market capital for illegal organs. I know this, but I did not anticipate Dr. Saudek’s insinuation—as he shoved me away from the shores of Prague this afternoon—that this was the reason I’ve come paddling into his little harbor. Milada insisted that we phone Blue Cross tonight and request an extension. Jiři’s black-light troupe—he’s their business manager—is performing at a local theater after dinner. She wants us to attend his show. She admits she is proud of her husband’s participation in the revolution. She will always love him for this. In the entryway to her flat we exchange shoes for slippers. Blinds cover the windows, an old precaution to prevent paranoid neighbors from spying, a habit she admits she finds hard to break. Curious—can’t help it—I lift a blind. In a littered lot between buildings is a rusty, partly collapsed play gym. All the reason I’d need to keep the blinds closed. Her dark furniture includes a massive armoire for coats and shoes and a credenza filled with the obligatory leaded crystal. Nothing in the details says Milada. Where does she keep her details? Following her to the kitchen, I ponder the degree to which the details we surround ourselves with ought to reflect our desires. To what extent does a paucity of details reflect self denial? My father kept his details in the basement. That amber bowl he flicked his cigar ashes into. The starched white undershirts, the ironed Union work pants. The bar of Ivory soap at the sink he brushed his teeth with, in the early days, when he still thought and acted like an emigrant. That stack of quarters, weekly replenished, that I was forbidden to touch. I liked to think they were savings kept from Mom in order to send money overseas to Anezka. What do those details say about him? That he was caught between worlds, a man whose heart desired a world that was in his past, that he longed for pointlessly? But he was kind. Those quarters, I’m convinced, were more than just beer and cigar money. In the kitchen, her husband winces at my broad-voweled American accent when I politely return his “dobrý den.” Jiři is a short man with an athletic build through the chest and thighs. With his pale eyes, sandy brows, sandy hair cropped conservatively short, he looks more handsomely like the Olympic skater he once was than a revolutionary. You’d expect to see his face on a Wheaties box, not on a prison mugshot. Their fifteen year old son, Martin, takes my jacket. His hair is jelled into neon pink and green Mohawk spikes. Milada tells me he is crazy about Seattle grunge. I gave him a Nirvana disc and a Walkman to play it in—he’s on his own for the batteries. Do I want coffee? he asks. I explain that I’d love it but it’s a problem of fluid retention; I have to measure intake. Then I decide why not, I’m going right back home anyway. Why not enjoy the little time I do have here?